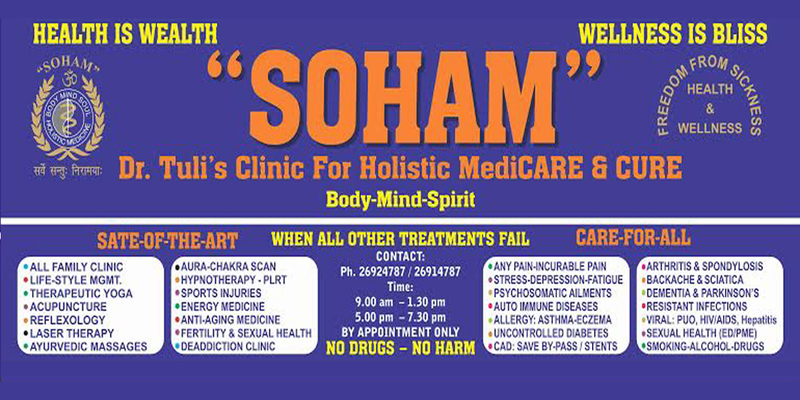 Doctor-patient relationship: Comment by Dr. R K Tuli - "SOHAM"
It’s surprising that the voice of the Conscience Keeper of over 10 lakh doctors in the country has been shared merely my 10.0K of them (only 1%) on such an important subject of Doctor – Patient relationship, with merely 175 giving a 👍! 2. Whatever the Doctor does should do no harm to the patient – in consonance with the Hippocrates dictum, “Primum Non-Nocere”. 4. Body has its own capability to produce all necessary medicines. The above mentioned points summarise that “allopathic” (allo=external) medicines, which never come without a long list of side-effects, in the first place are never harmless. Therefore, they should not be prescribed to patients. However, in critical situations where the advantages outweigh disadvantages they could be used as life-saving measure. 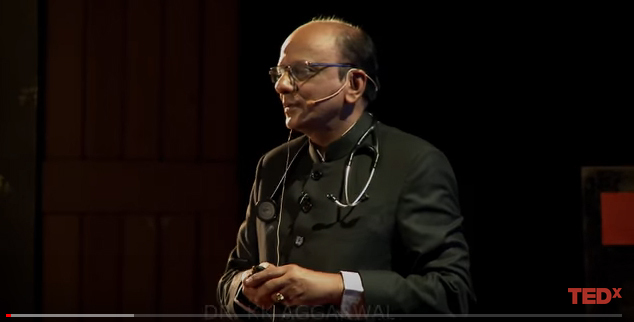 Now, what we need and MUST appreciate to understand, as You state, that the body has its own capability to produce needed medicines – as that happens spontaneously all the time to maintain our state of Health or our ‘milieu interior’. When this harmony of ‘milieu interior’ is disturbed, it leads to disfunction, disorder or disease. So, our effort should be to maintain this ‘millieu interior’ – to prevent sickness, and enjoy health. Now, no (allo) drug is developed, designed or marketed with this objective, nor can ever help us to achieve the objective of health. Therefore, it highlights the need for us to find alternate means to restore the ‘millieu interior’ – and that means a drastic paradigm shift in our understanding and outlook – contrary to our teaching thus far! It may be just like looking for alternate means in nature, viz. sun, wind or water for our energy needs having created a havoc by the hydrocarbons to our very survival! Similarly, the so called Alternate Systems of Medicine where no drugs are used, offer us an opportunity to maintain our ‘millieu interior’, or even help to restore when it’s disturbed manifesting as disease or sickness. It works very efficiently at all stages of Sickness. It shall be my privilege to share this “Pandora’s Box” of what’s termed Complementary Alternate Medicine (CAM) offering drug-free, natural and harmless modalities for restoration of the vital “millieu interior” for easily accessible, efficient, yet highly predictable, reproducible and sustainable model of health termed Holistic Medicine. The all inclusive and integrative approach to health termed Holistic MediCare, available at the unique Dr. Tuli’s Clinic helps to extend the best of each system of medicine, at the same time overcome inherent deficiencies in the respective systems, to offer a ‘synergy’ of all of them to ensure ‘Health For All’ at all ages of life, and all stages of every sickness. 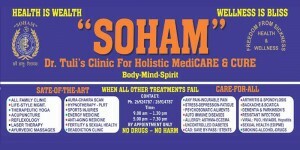 This latest speciality of medicine is called Holistic Medicine. It’s a board certified specialty in the U.S. for nearly two decades, and is catching up very fast amongst all the developed nations. Therefore, it’s high time that we adopt it into our health care and make our living years happy and productive. A lot to learn from experienced practitioners of medicine.